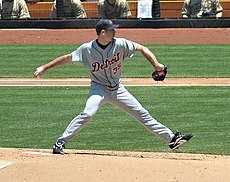 The Detroit Tigers are an American professional baseball team based in Detroit, Michigan. 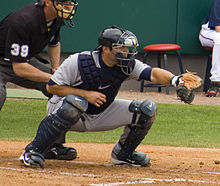 The Tigers compete in Major League Baseball (MLB) as a member of the American League (AL) Central division. One of the AL's eight charter franchises, the club was founded in Detroit as a member of the minor league Western League in 1894 and is the only Western League team still in its original city. They are the oldest continuous one name, one city franchise in the AL. 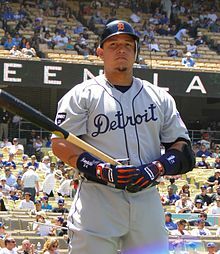 The Tigers have won four World Series championships (1935, 1945, 1968, and 1984), 11 AL pennants (1907, 1908, 1909, 1934, 1935, 1940, 1945, 1968, 1984, 2006, 2012), and four AL Central division championships (2011, 2012, 2013, and 2014). The Tigers also won division titles in 1972, 1984, and 1987 as a member of the AL East. The team currently plays its home games at Comerica Park in Downtown Detroit. Significant changes to the 2019 season opening roster include the departure of José Iglesias, and the one-year signings of the middle infield tandem of Jordy Mercer and Josh Harrison, both formerly of the Pittsburgh Pirates. On March 19, it was announced that Michael Fulmer would undergo Tommy John surgery and miss the 2019 season. 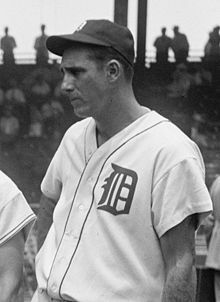 The Tigers used to have different versions of the Old English D on the cap and jersey. 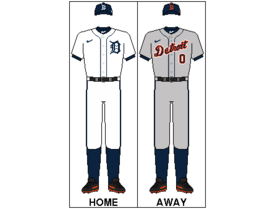 In 2018, the Tigers changed the classic curved logo on their home uniforms to match that of the sharp-cornered hat logo; additionally, the logo on the cap was enlarged. In 2019, the Tigers reverted to a smaller logo on the cap.